When I went vegan at 17 my Italian mother was not happy at all. Mostly she feared I’d starve to death without manicotti, ravioli, lasagna or pizza. In the mid-90’s vegan cheese consisted of only tofutti slices that are about as similar to cheese as the package they come in. But I was motivated by the likes of Chokehold and Earth Crisis (though maybe not enough to have Firestorm karaoke at my wedding) and was committed to never eating these foods again. My how times have changed. ‘Which vegan cheese do you use?’ is now a normal question at pizza places. Just got back from a short trip to NYC and ate more ‘cheese’ pizza than I have in years. Pretty stoked though I hope people still work on developing great recipes that aren’t dependent on vegan cheese. 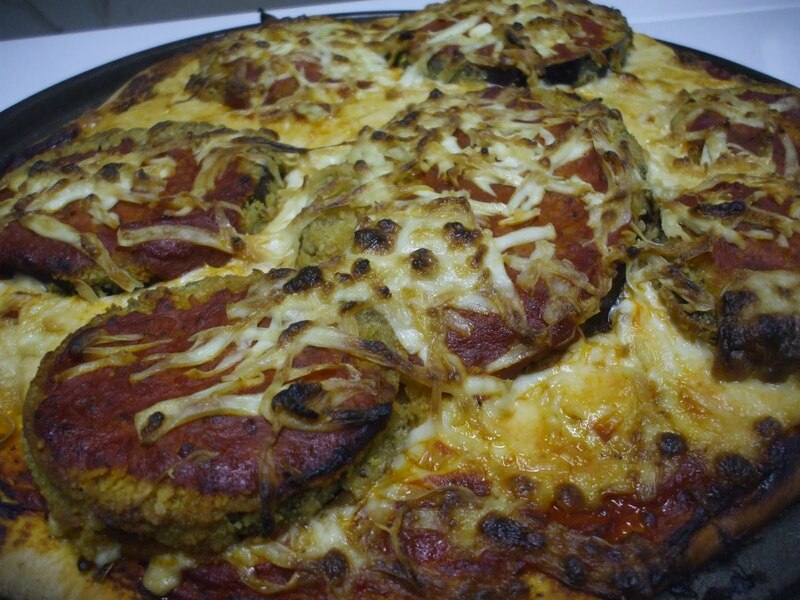 On some levels that is happening as is evident by my friend Gian’s vegan pizza blog. I recently sampled some and was quite pleased. Since I developed my lasagna de bartolomeo vanzetti recipe (as seen in Please Don’t Feed the Bears) I have not played around with Italian recipes nearly enough. Will do though. Thanks for motivation, Gian.